Since its launch in 2008, the App store has been growing continuously. It has served as a platform for app developers. App store is official software store for iPhone and iPad. Nepali app developers have been contributing to developing different iOS apps from the beginning. 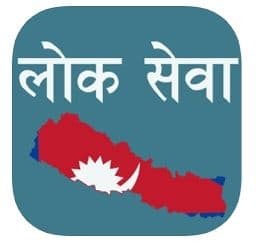 You can many different Nepali apps that can be downloaded free of cost. Smartphones have it easy for people to do different work on the go. There are a variety of apps for banking, top up, airline ticketing, chat, and much more. If you are wondering what you might have missed for 2018 list, you can find it here. In this blog, I am going to discuss best iOS Nepali apps for 2019 that you can download in your iPhone and use. This app is a useful Nepali calendar app that you can download in your iPhone. This app has festivals list for a variety of ethnic groups along with the feature of date conversion. Apart from that, it has a horoscope section where your daily horoscope is updated. The News section offers you the latest news and updates. If you are looking to see the latest and old exchange rates for top currency, you can find that feature in the Exchange rate tab of the app. The app offers you a list of Nepali FMs that you can listen online. You can check the list of days in the year for different ceremonies under “Sait” section. The app is useful for people who follow the lunar calendar to perform various rituals. They can find all the “tithis” listed in the “tithi” tab. The app has a list of trending YouTube videos along with videos of some popular Nepali TV Shows. The smart calendar is a must-be app for iPhone users with so many features available in it. The app is easy to download and faster to use. You can see the app in the app store using the link. There are many digital wallet apps in Nepal. 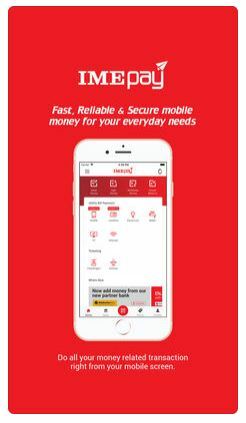 Paperless/Digital money concept has been drawing attention widely and such apps are key to the success of this concept. IME Pay offers their users with a variety of features like Money transfers, utility bill payment, merchant payment, ticketing, and other services. It has been a popular app to transfer money instantly as well as buying air tickets with handsome cash back on the offer. It offers to ticket for popular Chandragiri cable car along with some popular movie hall ticket payment. You can use their merchant payment option to pay different merchandise associated with them. It makes your life easy especially when you do not have to stand on the long queue to pay electricity or water bills. You can do this easily sitting at your home or office using this app. QPay is another digital payment solution that is believed to gain popularity this year. Similarly, it offers you one of the best and easy mobile payment for the services you rendered or products you purchased. QPay allows you to link with 45 plus Nepali banks to make your business digital. It offers you different proximity features that will make it easy for you to locate different services like shops, taxi, and cheap deals easily. You can locate nearby ATM using this app as well. QPay has the alliance with Union Pay making your payment via Union Pay wallet when you purchase something in QPay merchants. 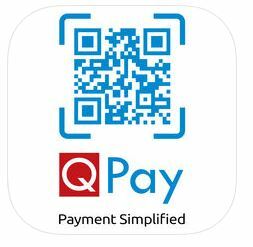 QPay can be downloaded from app store using this link. It is a newly launched app that connects people and their favorite places to hang out with. Social media has a huge influence on people’s lives today and this app is using social media to connect people with their choices. This app can be used to buy tickets for different restaurants, cafe, and events with discount up to 15%. It uses built-in maps that will guide the users to the respective restaurants or café. There are offers where a user can get up to 30% discount by earning points. It is simple and easy to use app that has been offering added features gradually. If you are a Nepal Idol fan this is one of the official online voting partners for the event. The popularity of the app went high, especially among users sitting outside Nepal as it was handy to vote their favorite participants. The app can be found in the app store via this link. It is useful mostly when you have to look around for banks and ATMs. nLocaate is a local search app for Nepal and is handy in finding the exact location. This app is useful in finding locations for shops, colleges, Embassy, Cinemas, ambulances and many more. It is easy to use app that can help you find the location along with additional information like the phone number of the place and direction to get there. The app uses google map and can be helpful in locating different places without any hassle. Are you preparing to get your license trial? Well, Nepali License is the app that you can use for license test simulation. It has three different trial options available for scooter, motorbike, and car. You can also prepare yourself for the written test as the app has this feature as well. 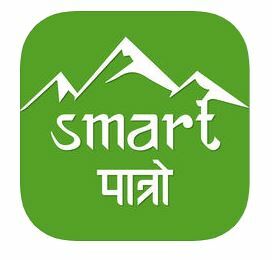 The app will list out all the road signs and their meaning used in Nepali road. It can be the best assistant for someone who is preparing for their license trial very soon. The simulation game will let you understand the track you are going to ride during your license test. Someone who is looking to prepare for trial can download this app from app store. How can a food lover miss the app that brings food at your doorstep? If you are looking for something to eat but lazy to go out, Foodmandu should be your choice. This app helps you order food from different restaurants associated with them and get delivered at your place. A very popular app for ordering food online inside Kathmandu valley. You can enjoy various offers as well while you use their app. You can use Khalti app for payment and get 20% cashback instantly. 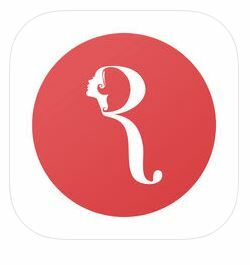 This app definitely deserves to be in the best iOS Nepali apps for 2019 list. This is Nepal’s premier trekking app that you can find in the app store. It lets you pick your trek and you can choose the category of your interest. Depending on your choice it lets you know what you can find on your route. It is helpful for someone who is going on a long trek as this app lets you know about teahouses that you will find on your route. There are free trek routes available in the app, however, you need to pay to buy some routes. This is a unique concept to help trekkers with a mobile app and has been gaining popularity slowly. You can use this app in your iPhone using this link for download. This is the first health news portal of Nepal and has been helpful in many different ways. They provide their users with in-depth health news and articles. Not only that, they are building a database for doctors, ambulances, clinics as well as a profile for blood donors. The app raises health-related issue and helps general people be aware of their health. 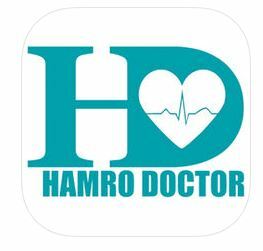 Hamro Doctor is available in app store for free. If you are preparing for different government jobs and vacancies, this is the right app for you. The app contains various quizzes, vacancy notices, notes, online test and other valuable information related to government jobs. This can be a handy tool for practice, discussion, and preparation of public service commission exam. In addition to quiz, the app uploads the question asked in Gorkhapatra newspaper. You can download this app from App Store. Apart from the list of best iOS Nepali apps for 2019 discussed above, there are some notable apps that I want to mention in the blog. There are many mobile banking apps that are handy to use especially when you want to make a transaction on the go. Some popular airlines like Buddha Air, Shree Air have their own mobile app that you can download and use. Nepali telecom service providers NT and Ncell have their own app for top up, buying net packs and other services as well. In addition to banking and airline apps, digital wallets are largely popular in Nepal. Two of the most popular digital wallet apps that are used in Nepal are eSewa and Khalti. Also Read: Top ten reasons why you should use Nepal Telecom apps? Depending on your necessity and requirement you can find other apps in the App store. The app that is mentioned as best iOS Nepali apps for 2019 may not contain the app you need. However, you can mention any such app that you think can make to this list in the comment section. If you are looking for something that can kill your boredom, you can get interesting game apps as well. The popularity of mobile apps depends on the update and bug fix that it provides based on user feedback.